NEW! The perfect Christmas gift, Wedding Gift or House Warming Gift for the decor enthusiast who seems to already have everything! Luxury decor has never been so affordable. 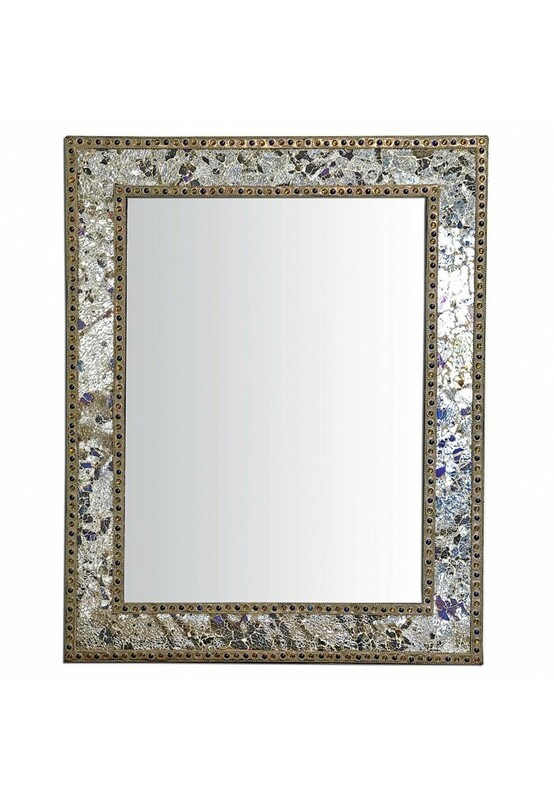 Our handmade glass mosaic mirror adds rustic touches of chic style to any room or wall. Durable MDF wood frame construction ensures this unique, 30" x 24" glass mirror can reflect your tasteful interior styling for years to come. Shimmering crackled glass mosaic is hand laid for an authentic look that cannot be replicated. Delicate glass beading borders the finished edges. Great for use as a vanity mirror in bathrooms, in the bedroom, hallways, foyer, living and entertaining areas, offices, hotels and so much more. Many manufacturers use "mosaic stickers" to create a flawless appearance. Our accent mirrors feature genuine glass mosaic, always applied by hand for an organic, non-machined look. The mosaic frame provides the perfect glam accent to match your existing decor. 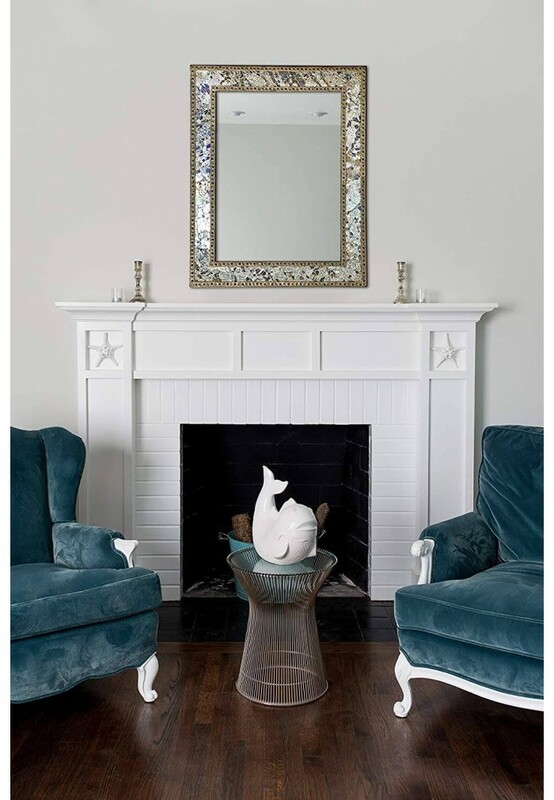 However, make no mistake, this artisan mirror is perfectly capable of making a design statement all its' own. 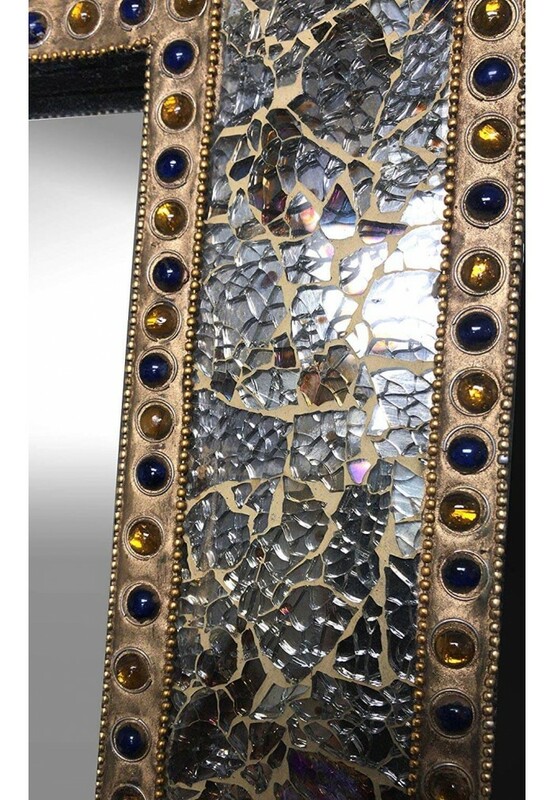 Mixed Metallics Silver and Electroplated Hand-laid Mosaic with Rustic Gold Trim and Beading. Crackled Glass Mosaic Mirror Frame Includes Pops of Color - Copper, Purple Amethyst, Deep Blue and Teal. Reflective Glass Shimmers & Reflects Light Creating a Motion-Morphing Art Piece. Clean Frame Surface Using Dry Microfiber Cloth. For Stubborn Mirror Surface Spots, Spray Glass Cleaner onto Microfiber Cloth. Do Not Spray Directly onto Mirror of Frame Surface.